The Wolf House Room is the only room on the first level of Mountain Memories. With an outside entrance convenient to parking, wireless internet, and a quiet atmosphere it is a favorite of the business traveler. 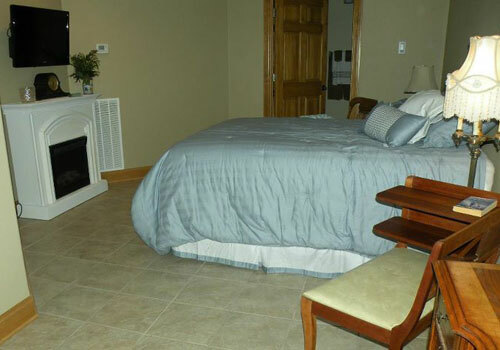 The cozy bedroom has a queen sized bed, 32” HDTV/DVD, electric fireplace, and individual comfort controlled temperature. 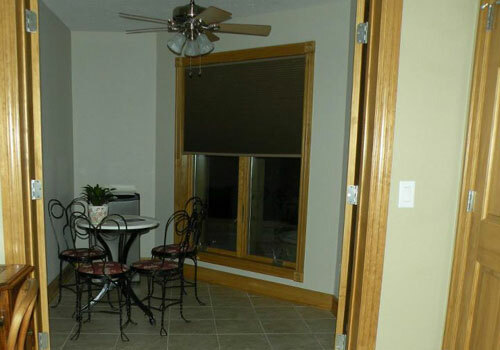 Enter the sunroom area through glass French doors where you will enjoy a small refrigerator stocked with soft drinks and water, a microwave, and a coffee pot for your personal use. 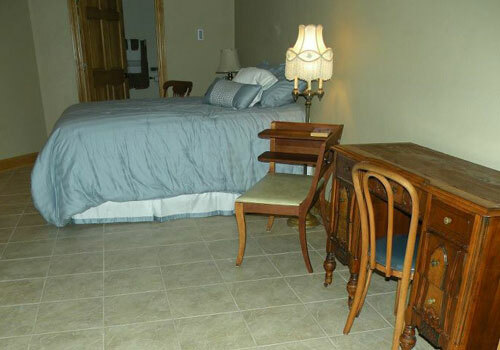 Step out of bed onto heated tile floors which continue into the bathroom. 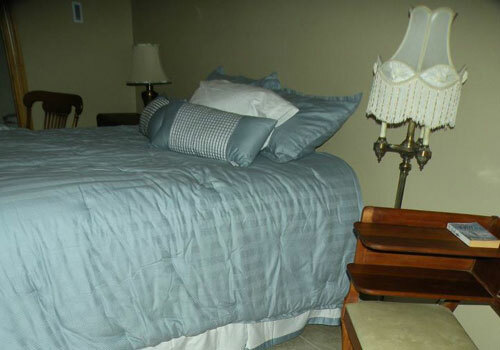 The bathroom features ada approved walk in shower, toilet, and granite top vanity. Books, pictures, and décor reflect the Wolf House of Norfork and the Wolf family. 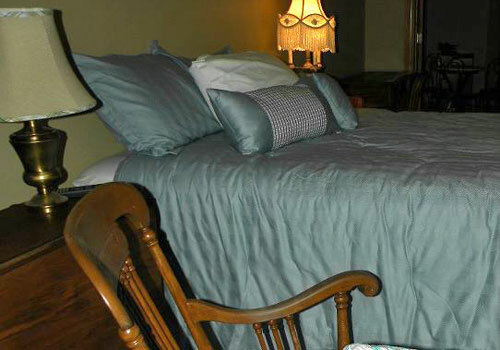 It is especially designed to accommodate travelers with special needs or guest traveling with their pet.